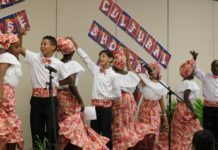 The Virgin Islands Department of Education’s Division of Virgin Islands Cultural Education has embarked on an exciting journey to bring back the traditional music of the V.I. and the Caribbean. The division has enlisted local calypsonians to organize the first “Traditional Music and Lyrics Academy” geared toward training the next generation of calypsonians. 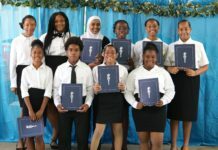 Interested students attending public, private and parochial schools are invited to attend workshops from 10 a.m. to noon, Saturday, Sept. 24, in the St. Croix Educational Complex band room; and from 10 a.m. to noon, Saturday, Oct. 1, at the Charlotte Amalie High School Music Department. Workshops will continue through March 2017. The “Traditional Music and Lyrics Academy” promises to give students in grades 3-12 an opportunity to hone and build their musical skills through singing and by using the lessons learned in language arts classrooms to create their own lyrics, according to Bryson. A registration fee of $25 will cover T-shirts and snacks. Culminating concerts for the academy are planned on all three islands. A local professional calypso band will back up the aspiring calypsonians. For more information, call 773-1095, ext. 7032 on St. Croix or 774-0100, ext. 2806 on St. Thomas.